Photo by Francois Duhamel ©2015 Roadside Attractions. All Rights Reserved. Photo ©2015 Roadside Attractions. All Rights Reserved. 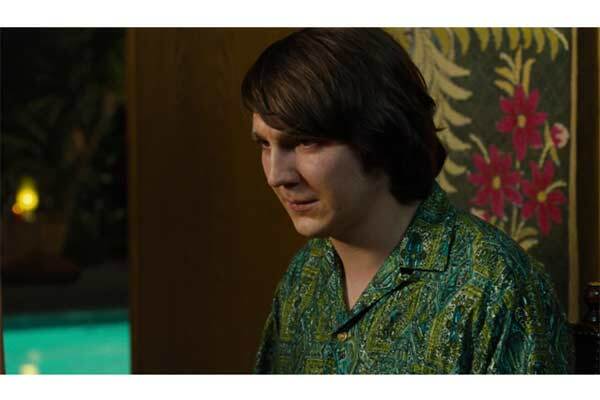 Paul Dano. Photo by Francois Duhamel ©2015 Roadside Attractions. All Rights Reserved. \"The song Love and Mercy is an example of Brian's generosity. 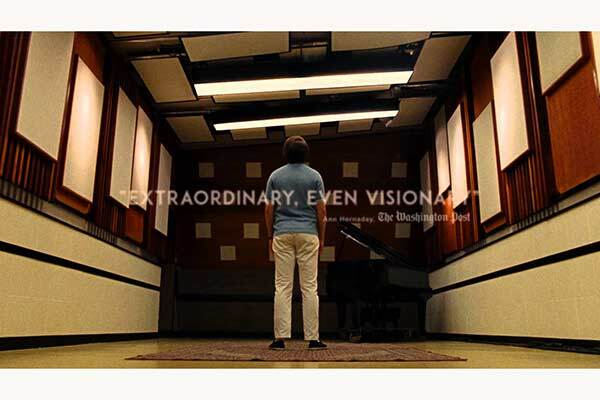 There are certain things that he felt he didn't get in his early life, like love and mercy, and instead of becoming begrudging, he wants to give those things through his music to people who have never had them.\"
Paul Dano. Photo ©2015 Roadside Attractions. All Rights Reserved. What the photo doesn’t reveal is the fact that the baby grand piano is perched in a large sandbox! Photo © 2015 Roadside Attractions. All Rights Reserved. Paul Giamatti, John Cusack, Elizabeth Banks. Photo by Francois Duhamel ©2015 Roadside Attractions. All Rights Reserved. \"Their love affair is so extraordinary. It has survived for more than 20 years under incredible scrutiny. Melinda had Landy's number from day one and knew she had to get Brian out from under his thumb...Isn't that a great story? True love trumped it all.\"
Elizabeth Banks, John Cusack. Photo by Francois Duhamel ©2015 Roadside Attractions. All Rights Reserved. 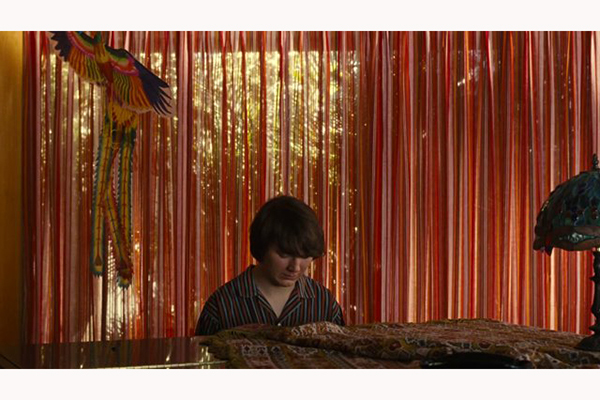 "Love and mercy, that's what you need tonight..."
Bill Pohlad, producer of many outstanding films, including 12 YEARS A SLAVE, WILD, THE TREE OF LIFE and BROKEBACK MOUNTAIN, produced and directed the in-depth, immersive portrayal of Brian Wilson’s life and music, LOVE & MERCY. Focusing on two key periods, the film examines the personal voyage and ultimate salvation of a cultural icon whose success came at extraordinary personal cost. 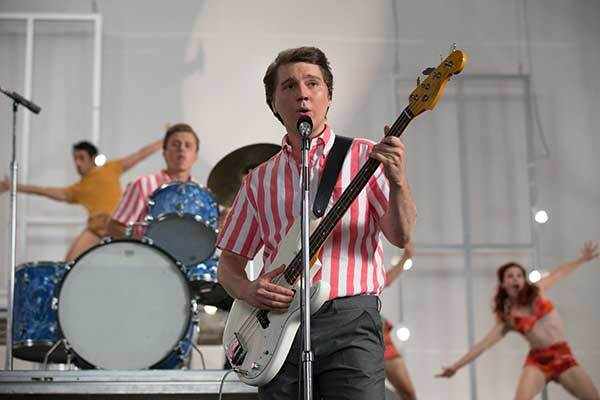 Actors Paul Dano and John Cusack share the role of the troubled musical virtuoso who defined the California sound with sumptuous harmonies and visions of endless summers of surf and sand, ebullient pop hits like SURFER GIRL and the game-changing masterpieces GOOD VIBRATIONS and GOD ONLY KNOWS. Pohlad collaborated with Production Designer Keith Cunningham, Set Decorator Maggie Martin SDSA, Director of Photography Robert Yeoman and their teams to visually re-create Wilson’s life, particularly two key periods of the film’s focus: the vibrant 1960s and the brittle 1980s, as well as earlier moments and dream sequence montages. The entire film was shot in Los Angeles. Wilson says, "The movie really gets the feeling of Los Angeles. It captures the heartbeat of the city, which was so important to getting this right…it's an integral part of my life." 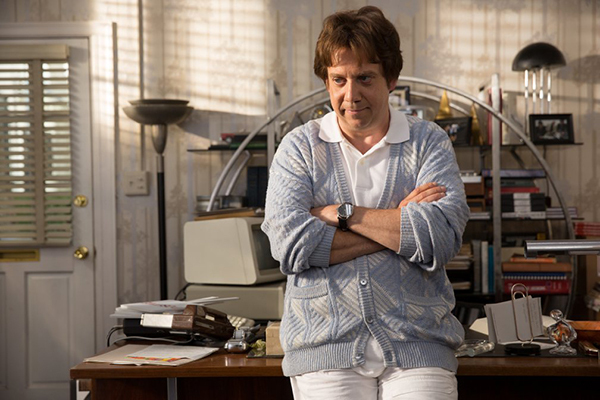 In the context of Wilson's unparalleled musicianship, the film divulges the darker and more complex story that lies beneath the music's sun-kissed surface, including his battle with mental illness and drug abuse, his years under the hyper-controlling influence of therapist Eugene Landy [Paul Giamatti], and his redemptive relationship with Melinda Ledbetter [Elizabeth Banks]. SET DECOR: In an interview at Sundance you said, "Trying to fit all the beats of a lifetime into two hours doesn't interest me. 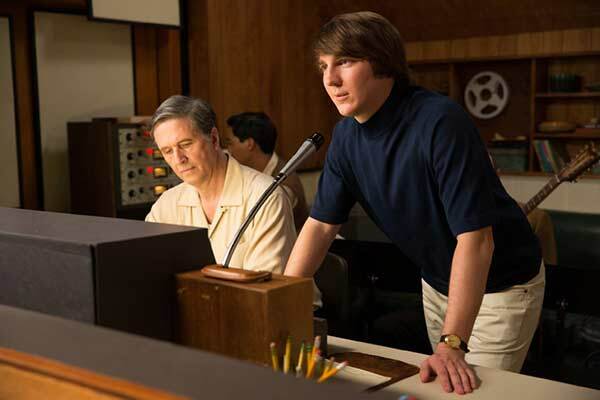 I wanted to get into the real human aspects of Brian Wilson's life, not his celebrity…the movie is a portrait of a real person…but to approach it in the traditional way was not going to work." Could we talk about how the sets helped bring about your vision for the film, your approach? Director/Producer Bill Pohlad: Yes, sure. As we started looking at how to envision the film, we began to focus on the eras that these two stories are placed in, the ‘60s and the ‘80s. Both those periods are known for having very specific visual cues and references in everybody’s mind. So we talked a lot about how we would delineate the two. I always knew that I wanted to interweave the two periods, and that’s how the script developed. One of the big considerations was how dramatic should the contrast be defined as we went from one to the other and back again. We talked at various times about doing changes in film stock, which we ultimately did not do. We did use different film stock for the recording studio scenes, but otherwise it was the same for both periods. Cinematography aside, we decided we would let the production design and sets, and, in some ways the costumes, do the job without it being jarring or blatant. SET DECOR: It worked. The transitions were smooth, although they were, as you said, floating back and forth. Pohlad: That was the goal. Again, you want to make sure that you’re not going too far, so it doesn’t feel forced or superficial in some way. We just tried to monitor that, and certainly working with the visual team keeps everything in hand. With the production design and sets leading the charge and Danny Clicker on the wardrobe side, we tried to kind of hold it within a certain range that felt believable and identifiable from those eras, and not a campy version. Pohlad: Yeah, she was great, obviously! Every film has its own personality. Sometimes it’s very difficult and there’s kind of a strange vibe on the set. This was the opposite, amazing in so many ways, including such a really great group of people working on it. I don’t know if that was because of the script…or Brian Wilson, or what...but we were able to get a great team together, and Maggie certainly was a big part of it. I loved working with her and the kind of warmth and understanding she brought to the project, and, obviously, to the look of the film. She’s really wonderful. She was definitely one of my trusted partners on the project. Again, we’re trying to deal with these two different eras, and I think they do have different personalities. 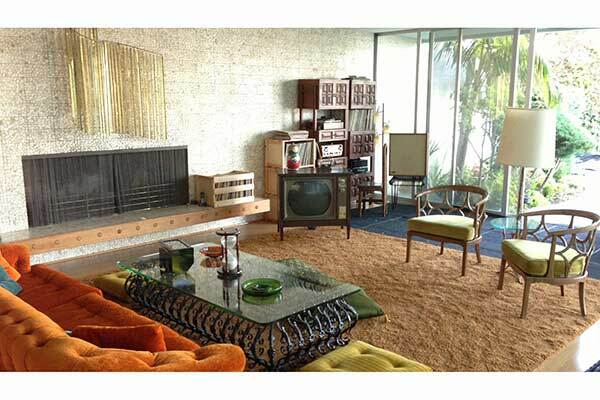 The ‘60s look is nostalgic and warmer, and the colors in some ways are richer, whereas the ‘80s period is cooler by design, and it reflects the era. From a story standpoint, the narrative point, that’s what we were trying to get without overreaching…that more nostalgic, warmer feel from the ‘60s ending up colder and everything-in-its-place in the ‘80s. Pohlad: Right. We’re really trying to tell more of that story of how Dr. Landy had taken over Brian’s life and, in a lot of ways, drained a lot of warmth from it—his wanting Brian not to connect with his family and not to connect with his past. You know, certainly, he had his own reasons for doing that, which in the beginning may have been somewhat justified…but I think, ultimately, that by the time we pick up the story, it’s become twisted to the extreme and it’s really reflective of how much dominance Landy had taken in Brian’s life. Pohlad: Yes. 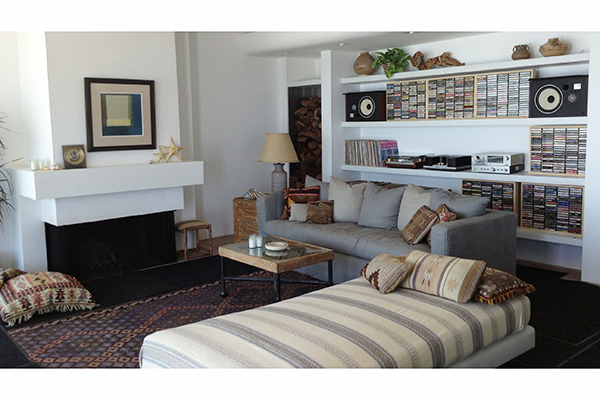 That was the goal for the Malibu house set, to have it feel like nothingness. Brian comes out and tells us that he’s renting this place and it’s “just temporary”, so there are no personal effects around, really. That’s by Landy’s design – Brian’s life is completely under Landy’s control. That’s the feeling it was supposed evoke. It certainly looks in concert with the narrative that we’re trying to give across, where Brian was headed in his life at that time. Pohlad: Exactly! A lot of people don’t pick that up, they don’t often talk about things like that. That’s one of those things…I’m sure you guys deal with all the time…that hopefully gets into your subconscious. It makes the film work on so many levels. SET DECOR: Absolutely. And when you have a cinematographer like Robert Yeoman who will take advantage of these elements and make use of them, like the tapestry that’s behind Brian’s head in one of his earlier homes, they tell a whole story, offer so much additional information. They blend in, but disclose even more about the character. And then there are pieces that really make a statement, like the unusual bed! Pohlad: Oh yes, THE bed! When we were writing the script in the beginning, we were developing the idea that there were three Brians: past, present and future. There was this long period in his life where Brian spent a lot of time in bed, which we referred to as the present era. The other two stories are kind of working off that one. In the ultimate cut of the film, the present became less important, but it’s there symbolically and visually as the turning point. 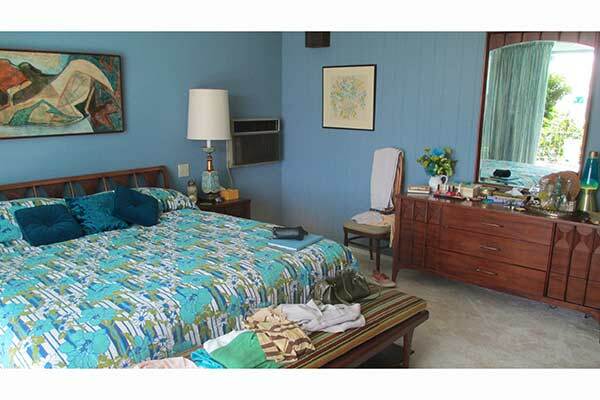 That bed is based on the actual bed that Brian stayed in at that time, but is designed for our purposes. It was a four-poster with a very elaborately carved headboard, very distinctive, so we worked from that in constructing our own that we could play off of and take apart. Pohlad: Yes. And the point where we see him toward the end of the film lying on the Malibu bed and hearing the voices, and then the headboard morphs into the four-poster bed, that launches into a reverie, the trip that Brian goes on to come to terms with where he is at that point in his life. Pohlad: Yes! We did the studio first, which was a really wonderful time. Well, to be exact, we started with two days of pre-shoots: the scene in the airplane and one in what was Brian’s dining room where he sings Surf’s Up…those were the two first days of the pre-shoot. 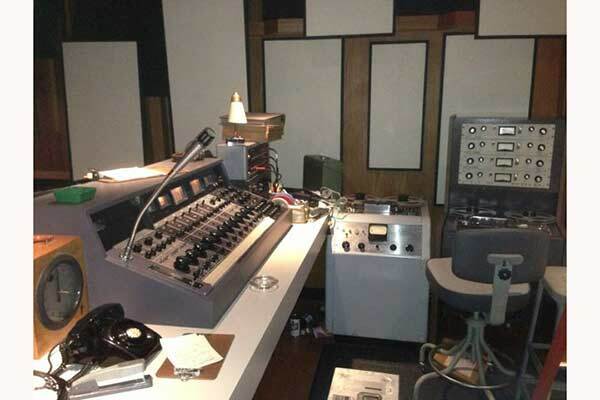 But the first day of the official shoot and the whole first two weeks, were in the recording studio at EastWest Studios—in Studio 3, to be specific, the studio Brian had used in the 1960s. So that set our whole shoot off in an incredible setting. It was amazing that we were able to shoot in the actual studio where Brian recorded Pet Sounds, a monumental artistic achievement. For Brian, personally, it is the point at which he begins to break away from surf music and tries to do something different. He is hearing complex harmonies in his head that no one else can understand until he records them. The dark side of that is he can't turn them off. The larger studio complex that those recording studios are contained in, the kind of business side of it, has been updated and has a totally different look, whereas they’ve done a pretty good job of keeping these classic studios as they were. We added and positioned some of the baffles on the wall and we brought in a period-correct master board. They still record there, which is amazing in itself, so we brought the old type board and laid it over the current one. It worked out incredibly well. We actually had one of Brian’s original technical sound guys, who has been around for longer than anybody can remember, playing the engineer in the studio so he could make sure we were on track with all the technical stuff. Pohlad: Yes, starting from the childhood home, The Hawthorne House, which played a bigger part in the film originally, but in the final version, was cut down quite a bit. 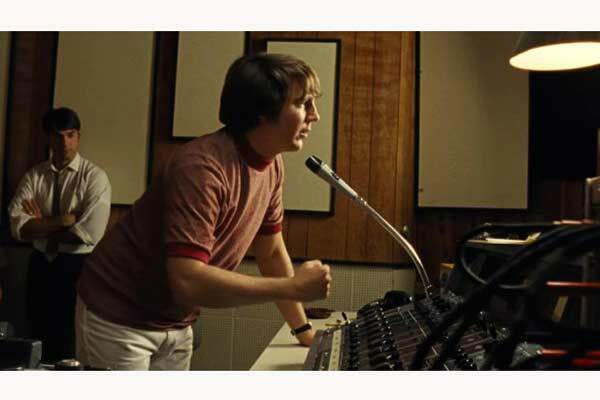 Pohlad: Exactly, and then we spend a little more time in the one where Paul Dano as younger Brian sings God Only Knows and we discover his father Murry [Bill Camp] sitting behind him. That is, theoretically, the house Murry moved into when he and his wife separated and he was running the boys’ music acts. We had some photographs of the real house, but for determining and creating that set, we weren’t trying for an exact duplication. It certainly had that period feel, equally important was a feeling of isolation and emptiness that was in his life at that time. SET DECOR: Yes, it was exactly that, very much of the period but rather soulless. A house, not a home. You mentioned photographs. We assume that you did have access to a variety of photographs for reference? Pohlad: Yes, we did. And of course, we had Brian and Melinda to kind of check us for accuracy! We had tons of photographs and there were home movies as well, but often times you couldn’t tell where the photo was taken. So you’re going through a discovery process trying to determine what is accurate to “when”. The Beverly Hills House, the one with the pool, was pretty well documented and we found a house in Bel Air that really matched it well. The actual house that Brain lived in at that time is still standing, but it’s been dramatically reworked and doesn’t have the look of that period anymore. However, we were able to find a house way up in the hills in Bel Air where it felt like we were in a time warp! The owners hadn’t done many changes at all over the decades, so we didn’t have to do any significant changes, except for moving in all our own furniture and accessories, the tent, the piano in the sandbox. 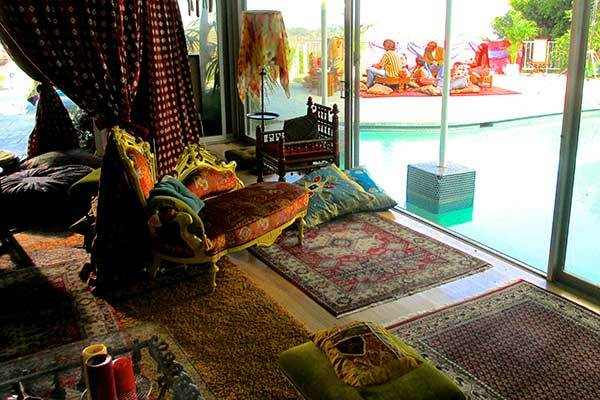 There are parts of the house that literally overlap the pool—you can just walk out the door and fall into the pool. You step into that house and you immediately fall in love with it, and not just for the film. There was something about it…a really magical quality to it. Pohlad: And we had so much to work with that came from reality, like the tent in the living room! Of course when we first encounter it, we see Brian and his brothers sitting inside a tent and we’re not sure where we are. That was the goal therein. They’re surrounded by these fabric walls…it was a trippy kind of atmosphere…and then Brian steps out and you find they’re in the middle of the living room. He really did do that. And then, for him to walk over to the sandbox [a baby grand is piano perched in the sand]…and the colors of everything on the walls…I just love what our team did with all of that…so rich to shoot against. SET DECOR: Yes, and engaging on the screen. And all the changeovers as his mind shifts. And then it was really interesting to see the quiet sophistication of Melinda’s apartment, that 80s look with the pastel against the black and chrome of the furnishings. Pohlad: That was interesting. Melinda’s actual apartment was close to the ocean, and you could certainly make an argument why that could work well for the film. But in the scouting process, we were able to find this kind of old world, old Hollywood setting, with a balcony that looks out over the courtyard. We were going for that moment when Brian is calling out her name trying to find out where she is. I had always pictured it being in a little courtyard like that, and I loved that kind of old Hollywood look. SET DECOR: Oh, absolutely it comes through. You can see it grayed-out in his place at the beach and strong in her outfits, and then the diffused version of it in her apartment. The story then takes us from this showroom’s huge glass walls and openness to Landy’s office, which was just the opposite, far from expansive. Pohlad: That’s the feel we were trying to give it, a bit claustrophobic, where you’re feeling a bit trapped in this little room with that guy. From all our conversation with people, that was how it felt. And it was really helpful for us to be able to do it in the actual location, not the exact same office, but only a door away. Pohlad: Certainly. Throughout the film, we had recording equipment presented in the two extremes: the equipment that is for all the good in Brian’s world, the studio and all of that…and then there’s the not-so-good, with the video camera focused over Landy’s shoulder that we see in the scene with Melinda, part of the oppressive nature of his practice. SET DECOR: That illustrates the entire film, revelatory and symbolic. At the core, it reflects creative exploration and love. You can tell hearts were included in the making of this film and yet it was not cloying or saccharine. It felt genuine and authentic. Pohlad: Thank you, that’s nice to hear. It’s great, actually…and, again Maggie was great and I loved working with her. It couldn’t have been better, really. Loved having her on the project, loved being able to do the project with the caliber of people we had.